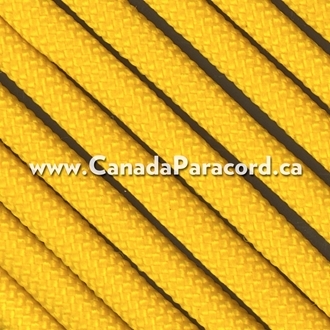 R&W Rope's 100 feet of Yellow 650 Coreless Flat Paraline is the same nylon cover that is used on commercial 550 or 650 paracord only without the seven nylon core strands. Made in the US, 650 Coreless Flat Paraline is approximately 3/16 inches in diameter. Forget pulling out the inner core strands. R&W Rope’s 650 Coreless Flat Paracord in yellow is what you need when your paracord project only needs the yellow outer sheath.